Funny kitchen wall sticker inspired by the famous Game of Thrones quote "Winter is Coming". 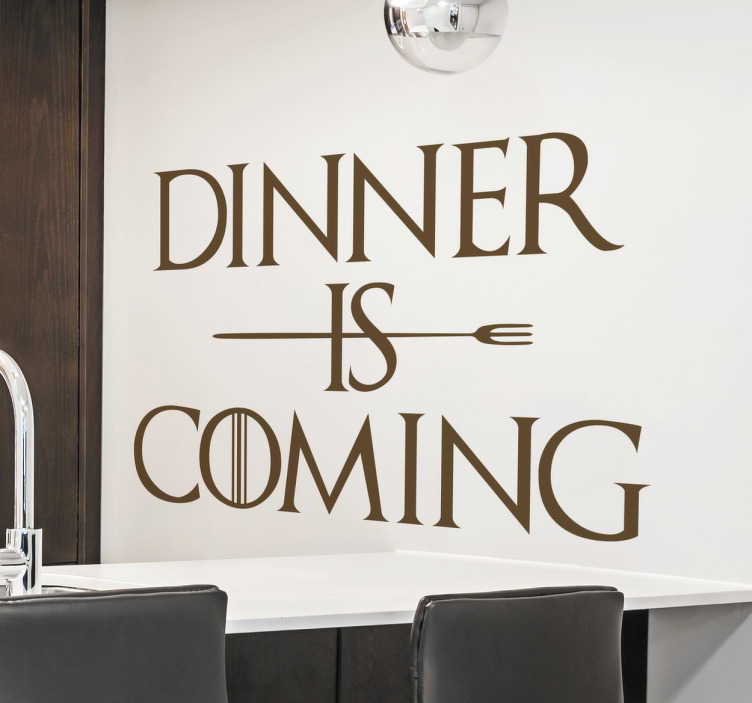 This clever wall sticker says "Dinner is Coming" in the classic GoT font with a fork slicing through the "is". It is perfect for decorating the kitchen or dining room in time for dinnertime. This design is available in many different sizes and colours to fit your every need.